Sir Chrichton Davey is dead. Under the sleeve of his smoking jacket among thje marks of the cocaine needles, is a red mark like the imprint of painted lips - the deadly Zayat Kiss. The power of Fu Manchu is far reaching and only his arch enemy, Nayland Smith, and his trusted companion Dr Petrie, can combat this evil genius of the Orient. 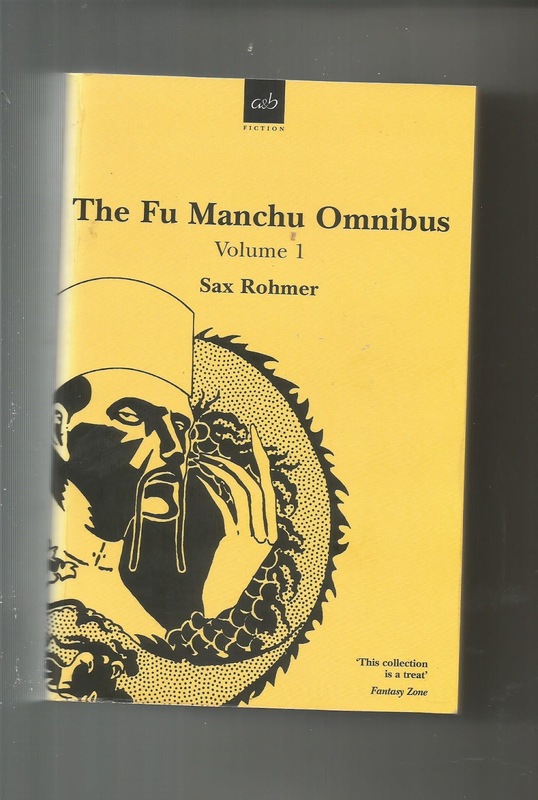 Published in 1913 this is the first of thirteen Fu Manchu novels published which ran until the late 1950's. Here we are introduced to the Holmes and Watson like team ( nowhere near as clever )who go from ingenious murder scene to the next trying to apprehend the 'yellow peril'- Fu Manchu - the Chinese criminal genius. The story is full of what is soundly racist language in this day and age and would be roundly condemned but it is of its time and once you get over this is a great little adventure tale. Our daring duo escape time and again in the most spectacular and frankly impossible ways but as the Irish Time states: " Good reading and high class escapism". I've managed to pick up four Omnibus's editions containing twelve of the thirteen novels and I'm looking forward to reading them over the next year.